Are you struggling to get the best from your AC unit? You may have started to notice that there are some problems with your air conditioning systems, and are uncertain whether you should call in professional help. If you are operating a unit that is not working correctly or is causing you problems inside your home or office, then it is a good idea to call in the experts to help keep your rooms cool and suitably temperate for the LA climate. An Air condition repair team in Los Angeles can fix your problems quickly to ensure that you don’t have to live with a non-functioning AC unit. This is one of the most common reasons for homeowners to call us in and can be caused by a number of issues. The first issue is a smell of mold or must when the AC unit is on. This can be caused by a mold which has formed in the air conditioner itself. This must be fixed immediately, as it is a threat to health. A very strong acrid smell may indicate that wire insulation has melted, which also needs to be repaired as soon as possible. Another problem prompts homeowners and business managers to call us is an increased level of noise coming from the unit. The AC unit should be very quiet when it is working correctly, so loud bangs, piercing or squealing noises and grating sounds indicate that something has gone wrong. When you start hearing these unusual sounds, you must call in an AC repair team as soon as possible, to prevent further damage to the motor and cooling systems in the unit. Are you looking for immediate assistance with an AC unit on your property? If you need quick fixes, call American Cool and Heat today. With our experienced teams, we can offer you Air condition repair services in Los Angeles that will assist you with any type of AC unit problem. If you have been wondering whether you should call in the experts, then the answer is yes, because when you call in American Cool and Heat, you get a service that you can trust. 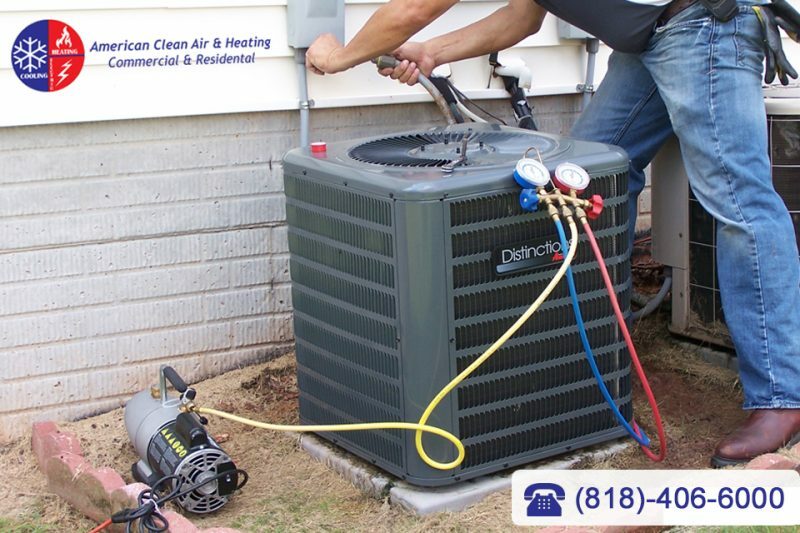 To get a free estimate for your AC unit repairs, simply talk to us online, or call us on 818-722-8634 now. There are fewer greater annoyances in life than an air conditioner that doesn’t work. If you live in southern California, you know how important it is to have a working AC, especially during these warm months of the year. While you surely want the job done right, when you’re seeking out AC repair it’s easy to put urgency at the top of your priorities. Obviously, the sooner the better, but there are some reasons why you need to find the best air conditioning repair Burbank has available. Burbank gets hot – no doubt about that. If it’s pushing 105 degrees, you don’t have days to wait on an air conditioning repair technician to visit your home or business. The heat tends to be stressful, and sometimes it can lead us to make hasty decisions, but you should never put timeliness over expertise when comes to finding the best air conditioning repair Burbank has available. Cheap fixes on your HVAC system can simply put band-aids on bigger problems, and a minor fix now could cost you thousands down the road if it’s not done properly. When you’re seeking out a quality air conditioning repair company, it’s important to do some research. You want to ask around for some good recommendations – and read some online reviews, if you can. You also want to know what you’re looking for. A good repair company will have expertise that extends beyond air conditioning – they should offer services for any of your HVAC needs. They should also be able to provide these services to many different types of structures: houses, apartment complexes, businesses, and large commercial properties – find a company that can handle any of these. If the heat has you down, it’s time to turn to the professionals. 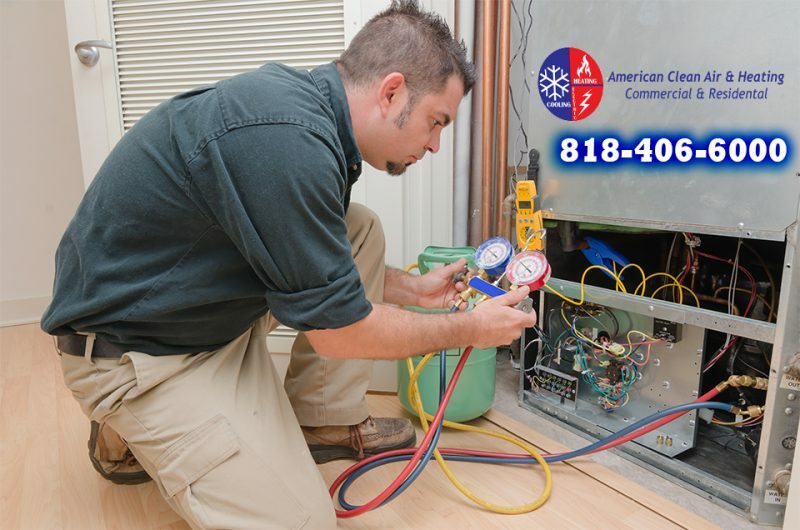 At American Cool and Heat, not only do we provide the best air conditioning repair Burbank has to offer, but we can handle any of your HVAC needs, be they commercial or residential. Give our expert technicians a call today at (818) 406-6000 and schedule a consultation. We’ll be sure to get your HVAC problems fixed quickly and correctly, saving you some money in the process, too. Let’s face it: it’s been a hot summer. With temperatures routinely approaching 100 degrees, beating the heat has never been more critical. In these warm months, the last thing you want is an air conditioner that’s not working right – or even worse: not working at all. If your AC needs maintenance, you want to turn to someone who will act quickly and get the job done right. But with so many options out there, how can you find the best air conditioning repair Thousand Oaks has to offer? If you’re having problems with your air conditioner, the good news is that you’re not alone. Chances are pretty good that you have a friend, relative, neighbor, or co-worker who has experienced the same unpleasant issue. With this in mind, it doesn’t hurt to ask around. See who people you know have gone to in order to get air conditioning repair. Most likely, you’ll get some solid recommendations on who does a good job, and just as importantly, you might learn whose services you’d be better off avoiding. Odds are, you’ve done a bit of Googling already in order to find the best air conditioning repair Thousand Oaks has to offer. 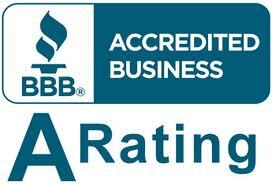 Surely, you’ve found dozens of companies claiming that they are the only place to go to for air conditioning repair. In order to see what’s what, take some time to read reviews people have left online. Popular sites like Yelp have made it easier than ever to get first-hand testimonials on whether or not a business offers what they claim to. By taking these reviews into consideration, it will be a lot easier for you to make a decision on who to hire. If you’re in the Thousand Oaks area, and you’ve asked your friends and neighbors, and done a bit of research online, most likely you’ve found yourself taking a hard look at American Cool and Heat. We offer a long history of experience in Thousand Oaks and the surrounding area, and we have a sterling reputation to show for it. Give us a call today at (818) 406-6000 and arrange for a consultation. Let’s get your home or business cooled down during this exceptionally warm time of year. If you have your system maintained once or twice a year by professionals, there are going to be some basic costs involved in doing the maintenance. There may even be some minor repairs that you need to have done along the way to your system to replace hoses or worn parts. These minor repairs are going to help to keep your system in good running order so that it does not have any major breakdowns or failures. This will help to keep your system in its best working order for a longer period of time, meaning you will not have to spend thousands of dollars to get replacement systems installed. When you have regular work done on your AC, it is going to help keep the system in its best running order. This means it will be working at it maximum efficiency and not overtaxing itself. A system that is not running well is going to need to use more energy to work harder to do the job for you. This means it will be using more electricity more often to cool your home, which is going to cost you a lot more money on your monthly utility bill. Maintenance and repairs keep the system going well so it does not have to work as hard to work correctly, cutting back on energy use and saving you on your bill. Just as is the case with the car that you own, the investment you make in regular maintenance is going to help to keep your AC system at its best, saving you money along the way. There are going to be times when your central air conditioning is going to need maintenance or repair. That is just the nature of equipment and machinery in the world today that everyone has to live with. While it may be tempting for you to try to do the repairs yourself or even get your friend or contractor you know to do the work for you, this may not be the ideal decision for you to make. AC systems can be quite intricate today and you need a special skill set to make certain repairs and adjustments correctly. You are much better off calling for professional help, but how do you know who to call? Here are a couple of factors to consider when you are looking for a professional AC company Los Angeles has available. While it might be easy to just pick the first company that comes up in an Internet search, if you are looking for a new company you want to do some basic investigation first. Check out the business you are considering and read reliable reviews at different sites and forums so you can get honest input as to how the business performs. You can also check with friends, neighbors, family and co-workers to see who they might recommend. You want to consider the professionalism of the company from the time you make initial contact with them. Did they answer the phone promptly and courteously or get back to your email in a timely fashion during normal business hours? Were they understanding and listened to your questions and concerns about service? These are things you want to consider before you make an appointment for service. Reliability starts from the time you make an appointment. Ask if there will be a confirmation call before the technician arrives so you know when to expect them. See if the technician arrives as scheduled, is polite and courteous, does the job efficiently and explains everything to you that was done. This will help to give you an idea of how professional the company is with its customers. If you take all of these factors into consideration you will make it much more likely that you hire a professional AC service that you are going to be able to count on and be happy with.